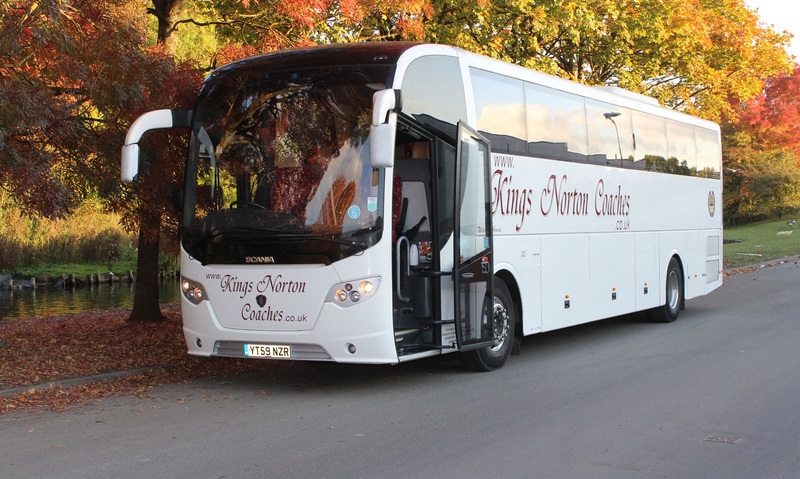 Kings Norton Coaches offers fun family day trips, cheap day trips and day trips for couples. If you are thinking; “what are some day trip ideas for couples near me?” you have come to the right place. We offer great Birmingham getaways to places near Birmingham and across the UK. These city breaks or cheap theme park tickets are a great idea for couples. There are some very unique things to do in Birmingham, but we also offer day trips by coach to destinations across the UK. Download our brochure to see what we have on offer. We offer day trips by coach to all UK theme parks allowing you to visit attractions near Birmingham and across the country. Our favourites are Drayton Manor, Alton Towers, West Midlands Safari Park and Legoland Winsor. If you want a fun family day trip or have been thinking, “what are the theme parks near me?” you have come to the right place. We offer day trips by coach to heritage attractions allowing you to visit attractions near Birmingham and across the country. Our favourites are Warwick Castle, Portmeirion, Charlecote Park, National Memorial Arboretum and Stowe Gardens. If you want a fun family day trip or have been thinking, “what are heritage attractions?” you are in the right place. We offer day trips by coach to a range of towns and cities allowing you to visit attractions near Birmingham and across the country. Our favourites are Oxford, Cambridge, Gloucester, Chester and York. If you want a fun family day trip or have been thinking, “day trip ideas for couples near me?” you have come to the right place. We offer day trips by coach to UK seaside resorts allowing you to visit attractions near Birmingham and across the country. Our favourites are Weston-Super-Mare, Burnham-on-Sea, Blackpool, Skegness and Barry Island. If you want a fun family day trip or have been thinking, “what are the best seaside resort towns in England?” you are in the right place. If so, download our brochure and book now. We offer day trips by coach to a UK Christmas markets in cities and towns allowing you to visit attractions near Birmingham and across the country. Our favourites are Gloucester Victorian Christmas Fayre, St. Albans Christmas Market and Bath Christmas Market. If you want a fun family day trips at UK Christmas markets, you are in the right place. We offer mystery tours by coach to attractions near Birmingham and across the country. Our regulars love our mystery tours, that provide a day out, meal and attraction to visit. If you want a fun day trip or have been thinking of something different, you are in the right place. Book today and we guarantee that you will be happy with the service. We run coaches across South Birmingham and we have a range of coach pickup points to allow you to get the one closest to you. 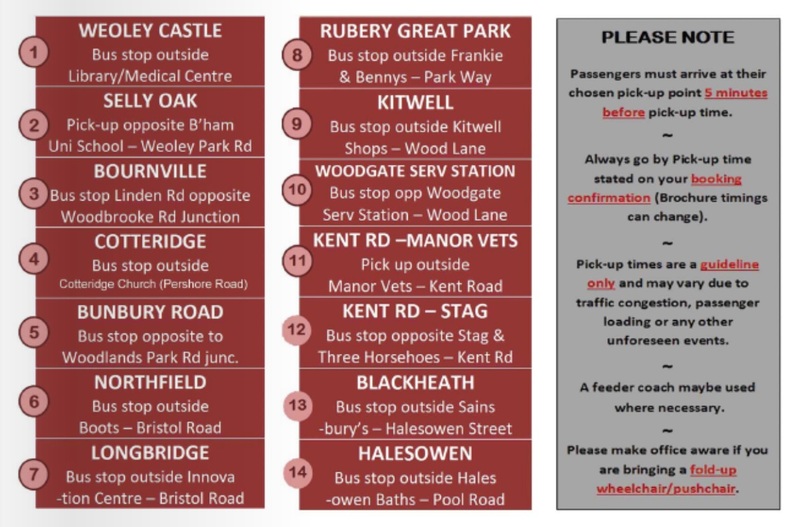 We have coach trips from Weoley Castle, coach trips from Selly Oak, coach trips from Bournville, coach trips from Cotteridge, coach trips from Northfield, coach trips from Rubery, coach trips from Blackheath and coach trips from Halesowen. The wide range of pickup points provides you flexibility for your fun day trips from Birmingham. Our customers love our fun family day trips and always say that they are high quality but cheap day trips. Join us today and bring your family along to fun day trips from Birmingham.